OFFICIAL FILM RELEASE DATES ANNOUNCED! 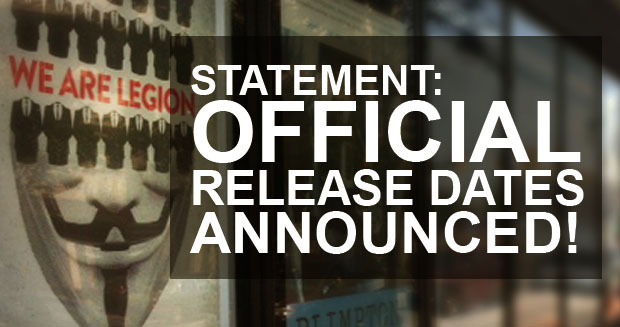 We have confirmed release dates for We Are Legion: The Story of the Hacktivists! The film will begin its theatrical run on October 19th at the Quad Cinema in New York City, and in the LA area at the Laemle Pasadena Playhouse. Director Brian Knappenberger will be on hand with special guests in both theaters on dates to be determined. Our US theatrical run is also expanding, so stay tuned here for updates. 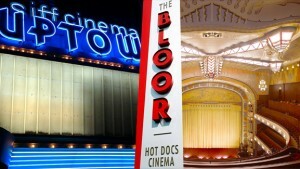 This weekend we also began a 7 city theatrical tour of Canada, starting in Ottowa and then going to Montreal, Nova Scotia, Winnipeg, Victoria and in Edmonton and will screen at the Bloor Hot Docs Cinema in Toronto on the 5th of November. As many of our friends, supporters (and the film’s subjects) know, making this film has been an ongoing journey. When we started the film Hosni Mubarek was still the President of Egypt! As new and interesting events transpired, we have gone back into the film and added them. That made this film a living, breathing document for most of the last year as we changed and altered it with the dramatic dynamics of Anonymous. Also for us, the process of continually re-working the film as it has screened at festivals has been very unusual. Usually films are finished, then make the festival rounds and (if they are lucky) released. We updated this film continually throughout the year. A stirring example of this was the Occupy protests, we were sitting in the editing room cutting the film as protests (and people in Guy Fawkes masks) were marching by just outside our windows. It was surreal. We’re not sure a film has ever been made and screened in progress like this in such a short period of time, but we are finally finished. Anonymous will no doubt continue to evolve, but this film documents a particularly intense and dynamic chapter of it’s history. Having said that, several of our early cuts have already appeared online. We expected this would happen and are excited by the rave early reviews, but so far those versions have been wildly out of date – all of them are missing huge chunks, key scenes and entire interviews. They are very much incomplete films, so we really hope you see the full version. If you’ve seen one of the older versions and like what we’ve accomplished over the last few years then come back and check out the final film, or support us by buying a DVD or BluRay, the film’s official poster designed by artist Michael Byzewski, or the unbelievable original soundtrack by John Dragonetti. Or just help us by shouting about it from the rooftops! Independent documentaries made outside the studio system face huge challenges getting seen, and we’ve always hoped this film would have a long life with people beyond the already converted. Getting out the word really helps! Also, in the spirit of the film, we’ve decided to donate a portion of any possible profits to groups we think deserve it and whose goals are in line with what we see as the principles of the film. 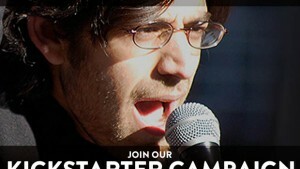 To start, ten percent will go to the Electronic Frontier Foundation. We’re big fans of the EFF, who describes their mission as being the first line of defense “when our freedoms in the networked world come under attack.” Another ten percent of the profits will go to both help Free Anons – a passionate group of people who are currently facing charges for online protest – and to other human rights or technology groups we think are behaving well defending human rights or freedom of speech in a digital age. Beyond that we will continue to make more disruptive independent documentaries about compelling people, groups and stories we think are reshaping our world. Stay tuned. We are firm believers in the ability of the internet to reach audiences in new and powerful ways, and to tell stories that are too challenging for (what is currently) a largely broken news landscape consolidated into a handful of companies deciding what you see. Between that and a blockbuster-driven Hollywood that is often tone-deaf to new technology (and supports draconian laws like SOPA) we think this is the moment where independent filmmakers can step forward with stories that aren’t getting enough attention and about which the world needs to know. So support us. Come out and support the film. Support those who are fighting for our digital freedoms and support independent documentaries who are working to tell stories that need to be told.